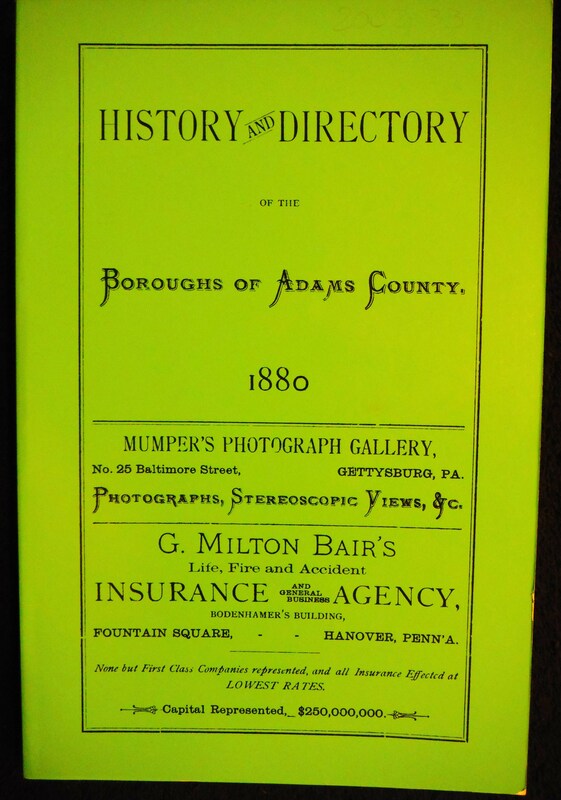 Title: Book; "History and Directory of the Boroughs of Adams Co., 1880." 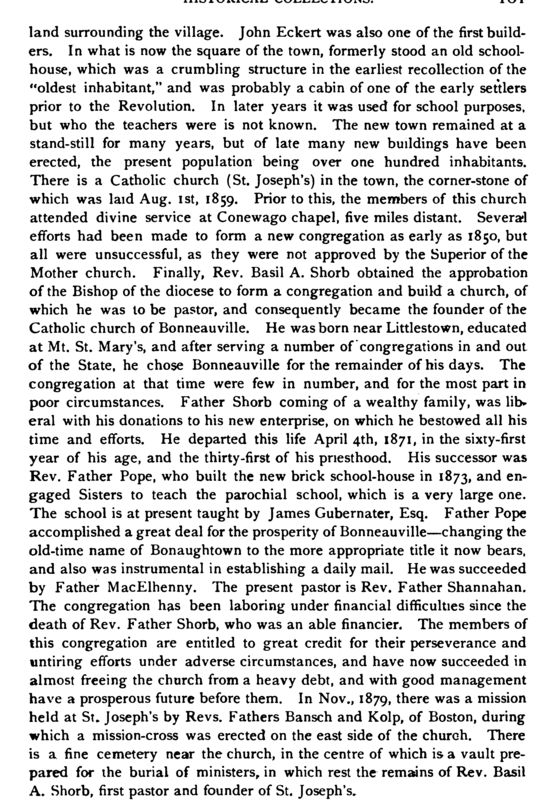 Page 140 - Adams County Geological Map, includes Bonaughtown. 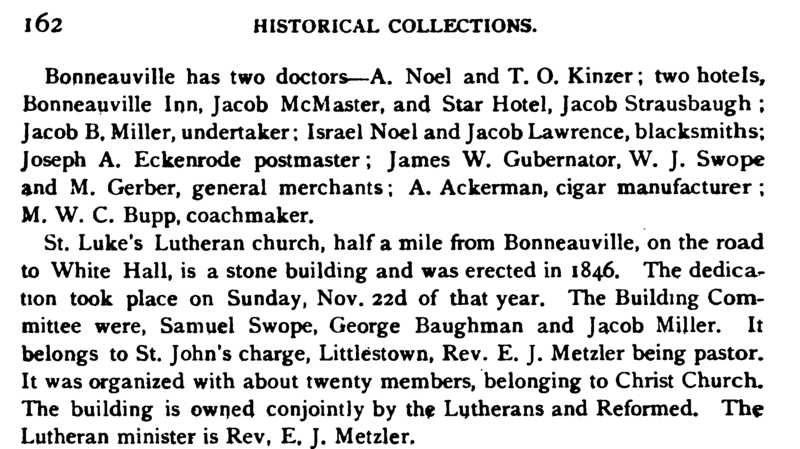 Page 160 - 162 describe the early history of the town.